She came into my office, a brave 9 year old, and with a quiet defeated voice shared with me that even though she used her coping skills, sometimes she still worried about bad guys. I still worry about bad guys sometimes too especially if I hear a strange noise at night. It’s normal. You’re human and I’m human. Having all our emotions including fear and worry is part of being a person. It’s okay to still worry about bad guys. The goal isn’t for you to never worry again. I know you might want that since worry can feel very uncomfortable and sometimes even painful. But the real goal is for you to know what to do when you feel worried so it doesn’t stop you from doing fun things, things you want to do, like going to sleepovers, or feeling safe on field trips, or sleeping in your own bed. Relief spread across her face as she nodded and smiled. Unintentionally teaching kids that a coping tool’s job is to eliminate their emotions. We live in a cause and effect world. Do this and get that. It’s a logical conclusion for kids to make. Do the coping skill. Stop having the uncomfortable feeling. If kids view coping skills this way, they’ll often quit using them for one of two reasons. One, the emotion didn’t go away so they must have failed. Two, they decide the coping tool “doesn’t work” because the emotion is still there. When we’re able to reframe the discussion, to all emotions are normal and that we want them to have all their emotions — anger, worry, sadness… all of them. When we communicate that the outcome we’re working towards together is to grow their self-awareness so they can experience their emotions without letting them control their life, get them in trouble, or make them avoid things they truly want to do. When we share that a coping tool’s job is to expand their ability to feel their big emotions (without flooding, avoiding, shutting down, or exploding). This is how we teach them it’s really about the process, the process of fully experiencing their emotions. I’ve found this message cannot be overshared with our kiddos. There’s no one-and-done with teaching that coping skills are not intended to get rid of our emotions. Sometimes, they might decrease the intensity or the duration of our big emotions. Other times, they may be teaching valuable social and emotional skills. And often, they simply give us something to do while we wait for our emotions to pass. With time, our emotions will shift and move on. 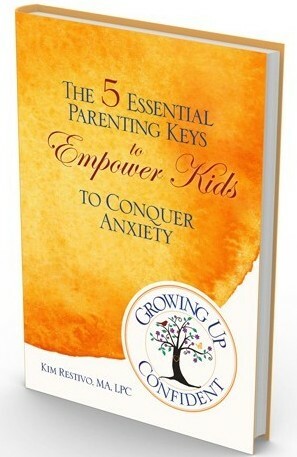 What have your experiences been with teaching kids coping skills? If you’d like to be part of more conversations like this, members are connecting and sharing their experiences and insights inside the Emotion Guide Collective. The Emotion Guide Collective is a cozy community where you can access new ideas, trusted answers to your questions, and hands-on activities so you can actively support your kids’ social and emotional health. Our membership is a mix of parents, family members, educators, counselors, coaches, and other helping professionals. Some of our members work with children between the ages of four and twelve, others are parenting them, and many do both. Interested or even just curious? Click here to check out The Emotion Guide Collective. Let’s create a world where kids grow up loving themselves — Together.